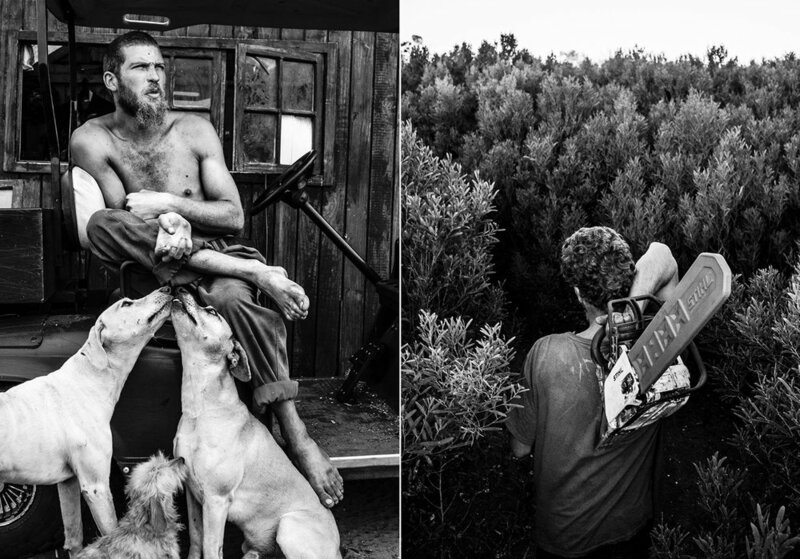 This collection of photographs documents a group of Afrikaans men living on the outskirts of the coastal city of Port Elizabeth in South Africa. 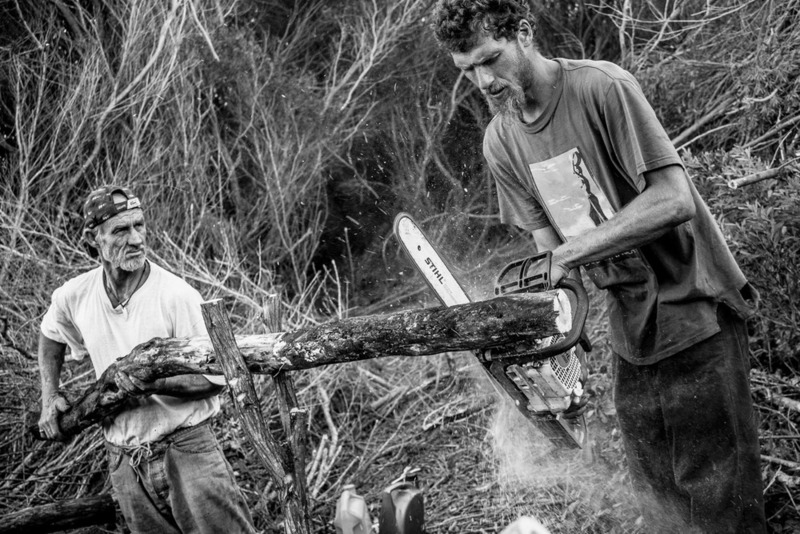 The photographs are an intimate look into the lives of these men; how they live, work, and ultimately survive on the fringes of a new South Africa. They fell trees and sell the firewood to eke out a living. 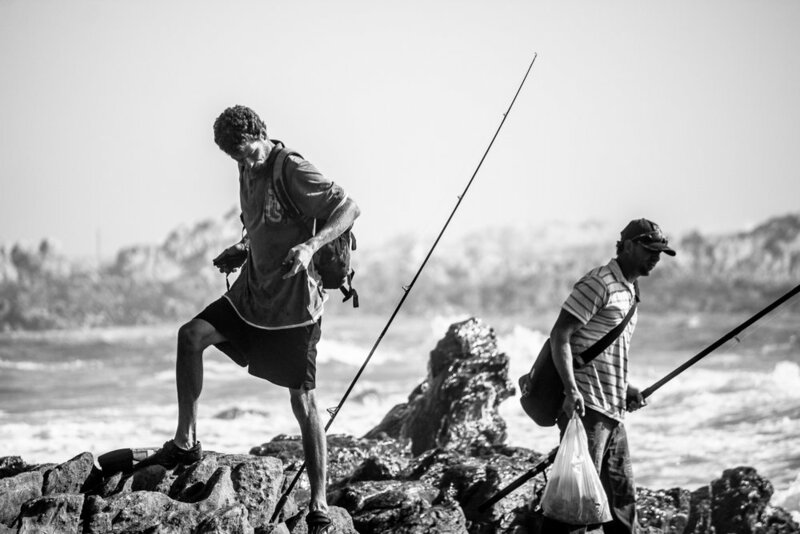 The men in these images are only but a few of about seventy bush dwellers that have settled in various locations surrounding the city of Port Elizabeth. My journey with Danie began about 6 years ago whilst still studying photography at the time. Since then we have become good friends. 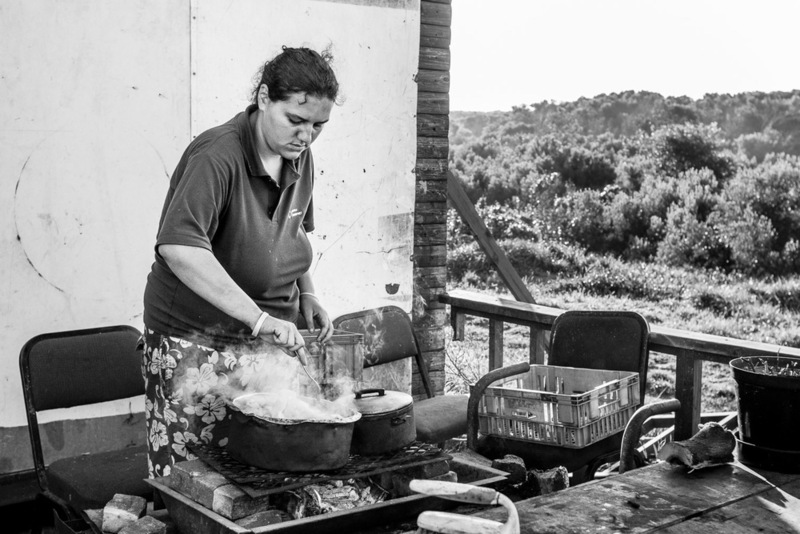 For me, the relationship with Danie was in many ways a big learning experience and shaped much of my previous misconceptions regarding a generalised view and understanding I had of people that live a much more modest and simple lifestyle than most of us are familiar with. 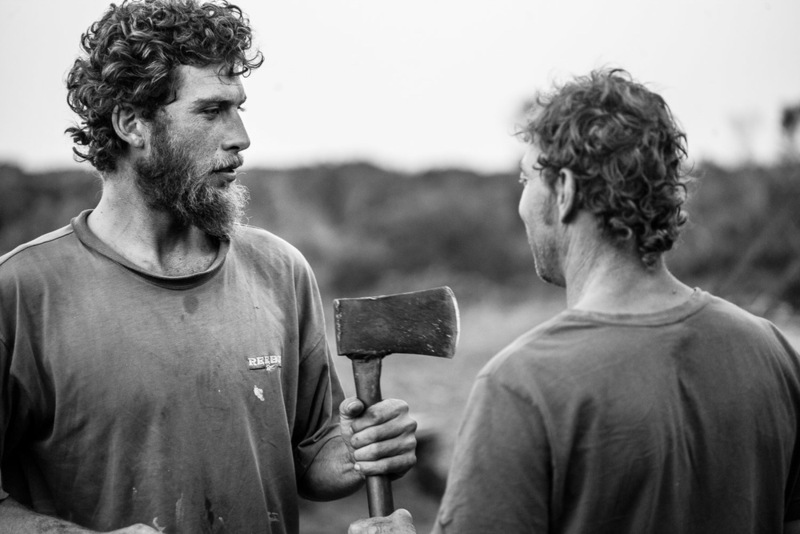 Danie Swart is a young man of twenty-eight but he holds the responsibility as leader of the group of wood cutters. He settled down in the bush approximately nine years ago and now resides in the bush together with his partner and baby. In this small bush settlement, Danie and his fellow workers live without electricity, water, or toilet facilities. They have adapted to function without these everyday luxuries. Danie makes full use of the rich sustenance provided by mother nature! 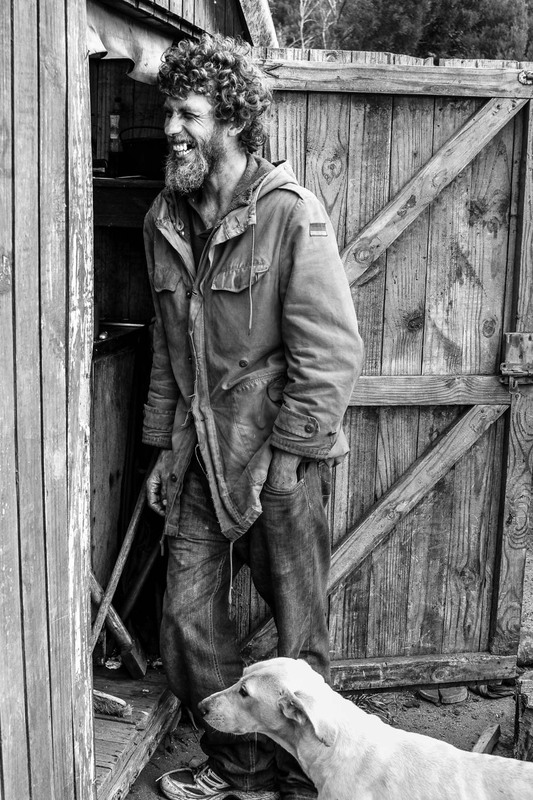 Many times he has told me that he might be poor and not have much materilistically, but he knows for a fact that he will never go to sleep without having something to eat. At the core of my experience throughout this journey I have found that the inclination to getting 'involved' with people from less fortunate backgrounds is very often to find ways to support them on a materialistic or financial level. To give in this way is not at all a bad thing and I am aware of the need in doing so, but in effect, I have found that many times that the people in these societies have a greater need that surpasses any earthly gain. Danie, his partner and many of the men in these pictures have taught me what it actually means to have a honest relationship, without any agendas. What an honour it is to share in a relationship like that. These types of relationships take time. In order to reach a deer level of love, and acceptance through friendship, one needs to possess the power of listening skills. When someone takes the time to listen to you, it builds up your moral and eagerness to move forward. Danie’s big dream in life was to become a nature conservationist. As our friendship has developed I have realised that part of that dream has come true because he is currently doing the environment a huge favour by removing the rooikrans trees. These trees are an invasive tree species in South Africa. At the age of fifteen Pierre started working as a railroad labourer. The following year he joined the army. His dream was to become a chef. When he left the army he returned to the railroad, where he started to work as a waiter full time. Pierre worked on the railroad between Durban and Cape Town for nineteen years. However at the age of 37 he enrolled and attended a course to become a qualified chef. Since then Pierre has moved to Despatch, married twice and worked for Volkswagen as a food and beverage manager. He has had to face some hard trials in his own family and has suffered much heartache and lost loved ones. A few years ago he lost everything he had worked for but has subsequently found a place in the bush. 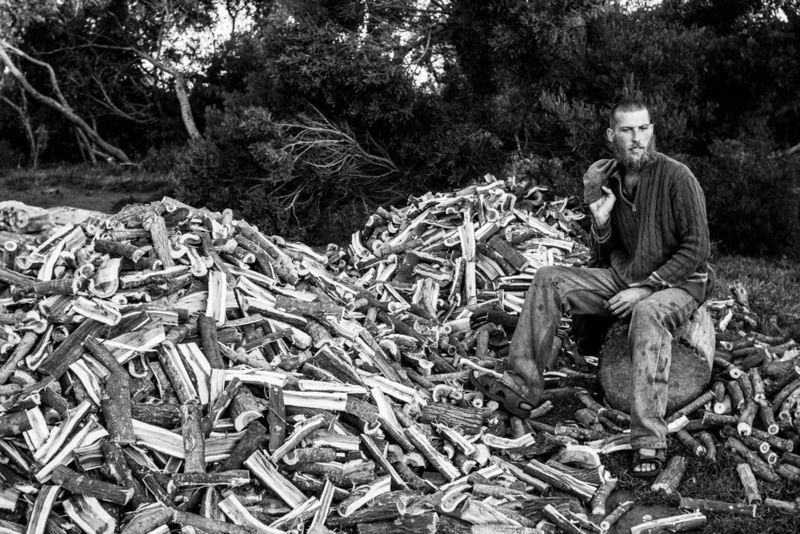 It was here that he was introduced to the trade of cutting and making firewood. I have gained so many valuable lessons from his life stories and especially in the later findings. In 2013 Pierre past away due to cancer. There were many days Danie could not pay his workers weekly wage as a result of little orders for wood, damaged gear, or simply inability to deliver wood to the clients. Danie saved up enough money to buy a small pickup truck that is now a huge benefit to his business as it gives him the opportunity to deliver more wood to customers. Stephen, Danie's brother has been living with him for a few months. Here he was busy helping his brother to wire up a light bulb from a small solar panel that was donated. Danie and Louise now live together and recenlty started raising their first child in the bush. This was the last picture I took of uncle Pierre in the bush shortly after he was moved to a hospital to be taken care off. There are many days when some of the daily struggles Danie has to face become to overwhelming for him to endure! 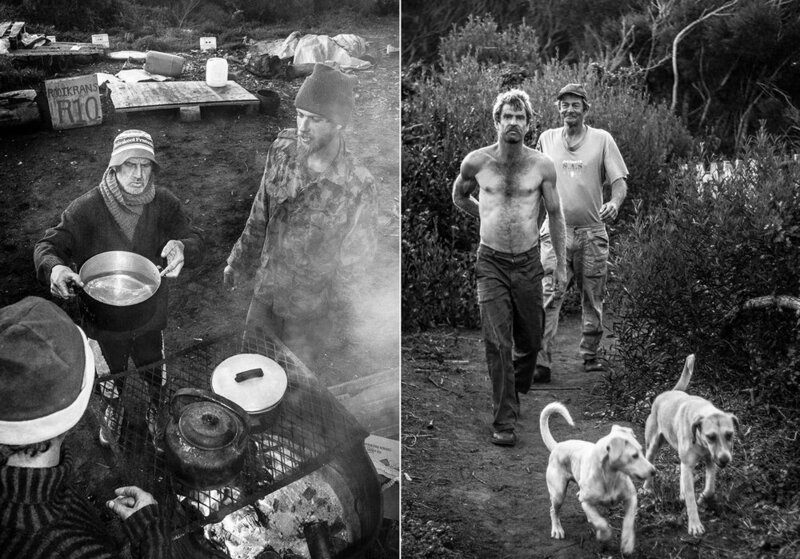 These images were taken the night after a massive forest fire approached Danie's little forest hut. They had spent most of the previous night fighting the fire. They were fortunate enough that the wind direction had turned only a few minutes short of the fire reaching their homestead. Danie busy restoring one of the support beams of his house. 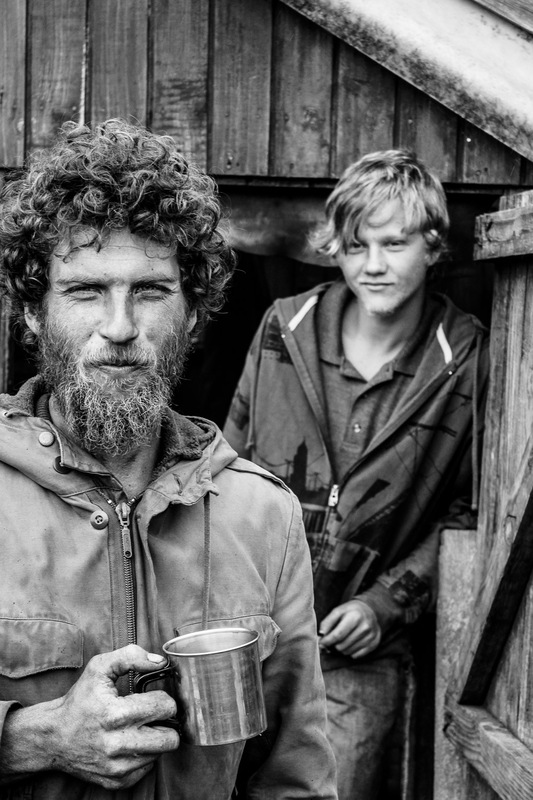 The result from the lack of running water and proper hygiene has often taken a toll on these men. Danie is fed up with having to endure the pain of a heavy toothache. Sadly, after the birth of their baby girl (Mianca), she was taken from Danie and Louise by social services. The grandmother wouldn't allow the child to be raised during the early stages of the babies life in the environment they currently live in. Both Danie and Louise were very heartbroken within this period of dealing with being separated from Mianca. Gerald was brought up in an orphanage in Kimberley. After completing school; He has worked as a boilermaker, block man and furniture maker and has spent the majority of his life backpacking and looking for work. Gerald has been jailed on numerous occasions for drug related offences. However, Gerald decided to break ties with his past and has settled his life in the bush. Danie and Louise were finally reunited with their child Mianca at the beginning of 2016. Mianca working with wood, just like her dad.